Register Today to Help Beautify the Ward Park Riverfront! The Friends of the Chicago River’s annual clean-up event, Chicago River Day, will take place on Saturday, May 11, 2019 from 9:00 a.m. to noon. Join us in beautiful A. Montgomery Ward Park and volunteer to help Friends of the Chicago River, the Rotary Club of Chicago Cosmopolitan and the River North Residents Association maintain the river as a natural resource that provides a place to play, relax and enjoy nature. If you, or your friends and family, are interested in volunteering, please register by May 5th so that we can plan for sufficient supplies. As a thank you gift, volunteers receive a Chicago River Day T-shirt plus an invitation to after-parties hosted by Metropolitan Brewing Company and Blue Island Beer Company. Ward Park is located at 630 N Kingsbury Street at the corner of Kingsbury and Erie. For 40 years, Friends of the Chicago River has been working to improve the health of the river for the benefit of people, plants and animals. Spanning the entire 156-mile Chicago River system and its watershed, it works to lay the foundation for the river to be a beautiful, continuous and easily accessible corridor of open space in the Chicago region. 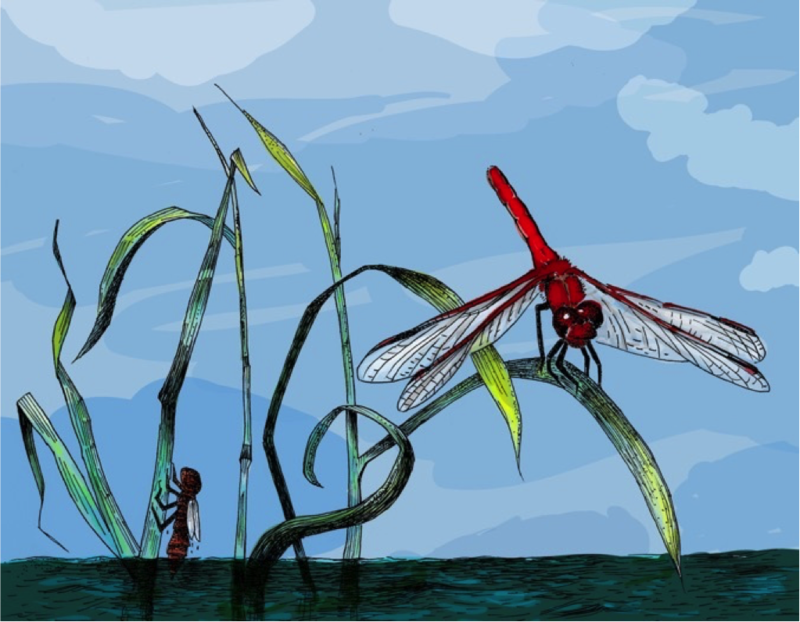 This year’s River Day mascot, the Ruby Meadowhawk dragonfly is one of the many species of wildlife that call the Chicago River system home. Agile and efficient, with amazing vision and focus, it is a key indicator of ecological quality, as it needs clean water to survive. Friends of the Chicago River is excited to celebrate its 40th anniversary of bringing the river to life. For more information visit Friends of the Chicago River at ChicagoRiver.org.